Get planning your business success, your socials and your holidays for an amazing year ahead! 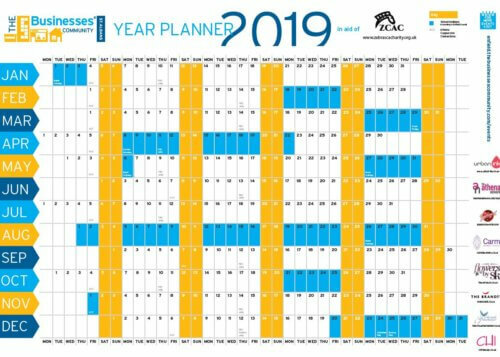 Featuring the school holidays as per Enfield Councils’ website the fantastic TBC Jellies and The Athena Networks Cappuccino Connection dates – Get your year planner online here! Or pick one up at a jelly – donations to Zebras Children and Adults Charity. £5 includes postage and packaging (the planner will be folded in an envelope).